Video footage shows Brown with his arm around the unidentified boy as they bounce to the music. Seconds later, the boy appeared to lose consciousness and Brown -- without missing a beat -- picked him up and handed him off to a man in the audience before dancing off. The 29-year-old singer posted video footage of the incident on his Instagram.com page, along with the caption: "LOVE MY FANS BRO ... I WAS SCARED FOR A SECOND ... THE KID IS LEGENDARY". From Frank Sinatra to Michael Jackson, fans -- mostly women -- have routinely fainted at pop concerts. The fainting spells usually occur when fans are overcome with excitement or hysteria. But doctors are skeptical of the phenomenon. The fact that multiple women tend to faint at the same concert suggests the fainting is self-induced. The medical term for fainting at concerts (or before class exams) is "fainting larks". A "lark" is defined as an activity done for fun or a foolish waste of time. Fainting larks is common among women but can also occur among children. The faint is initiated by the subject first hyperventilating while squatting, then standing up quickly and performing a forced expiration against a closed glottis. These manoeuvres combine the cerebral vasoconstriction induced by hyperventilation, with acute hypotension induced by standing quickly, with reduced venous return and cardiac output induced by straining. Almost instantaneous syncope occurs. The same combination of factors is probably involved in epidemic syncope in female teenage fans during rock concerts. The fainting lark has also been used as a research tool to study the sequence of events during syncope in young adults. The excitement was too much for him. So is a "fainting lark" someone who fakes fainting for fun, or are they actually fainting? Because that kid appeared to actually pass out. I've never seen a child faint from excitement -- not at football games, not at amusement parks, not at a skating rink, not anywhere. Is there a special type of excitement that occurs at concerts? ??? That was cute. The little boy looked like he was 7 or 8 years old. It looks like a genuine faint though. I passed out at a tevin Campbell concert before so I know the feeling. I think he fainted from fear. I thought Tevin Campbell was the world ?. I used to collect his posters out the magazines. My bedroom was tevin’d out! I cried to his song in the rain before ????? Great Job Chris!! good PR you are now on the road to get back in the good graces of the white media...now pay that child actor his money. Always in my heart is my favorite...He could have went a long way I wonder why he left the spotlight??? Chile was watching MJ concert noticed a guy in a damn wheel chair. .. Was gone... Straight slumped over ?? chile.... Mj hadn't even started the song ... Back then ambulances stayed on deck at his concert ... Chile they lifted the wheelchair up over people his azz still slumped over got him over to ambulance ... Probably missed half the concert straight gone .... Side bar ... Chile CB puts on some good azz concerts ... So I feel him.. . My daughter loves Chris and I ain't mad... Chris I see you bew you are a loving man.. In fact a king... Folks will judge.. Yes... But keep staying true to you bew ... Excellent father as well... And Baybay Chris shows be lit and he lifts his dancers other artist etc... . I love CB ?? i immediately thought of MJ too! that "another part of me" video at wembley???!! chile, they was dropping like flies, LOL!!!!!! Tevin said 'can we talk' and that's the last you remember?! LMAO!!!! yes! and not just crying but Weeping... yt folks doing the ugly, church cry face, LMAO!!!!!!!!! Bravo, Chris! He's has really taken on the role of a father?. That was a great catch. Poor child. They made me sick with all that foolishness ?. Tevin Campbell is one of my favorite ALL TIME singers. He is so underrated. That's nice and all but CB woulda had to bring that kid from the brinks of death in order to be forgiven by the masses. I still love me some Tevin. i can't even lie, late 80s/early 90s?! shewwww! i be lit, just watching the videos on MTV!!!! those live concert videos were EVERYthing! i was like, Mike taking these folk to church... they seeing the light, LOL!!!!!!!!!!! Well, i probably woulda been laid out crying with a snotty nose for New Kids on the block. I was in love with them white boys?. Now people are fainting over crackheads now?!???? Girl new kids was thee shyt ?? I would damn near trip and fal trying to get to the tv when their videos came on. I don't know. I've never seen people faint except at church but that's a whole other story? He went to New York and starred as"Seaweed" in the Broadway play 'Hairspray" for years. RnB music has died out for black artist and past black rnb stars like Tevin have no market anymore. Because White artist like Robin Thicke,Justin Timberlake etc. has taken over the rnb market as their own. Also rap artist have taken the place of rnb now with rap stars like Drake turning to singing. No, didn't know they had one....gotta check it out. you daggone right the Beegees! who fuggin w/them brothers' harmonies?! (nobody!) that 'staying alive' thumps hard, and dude hittin' them high azz notes with that syncopated beat! chile... whut?! Yes I too heard he was doing Broadway shows. He’s still around. Not sure if he still has a voice though?? I think I read somewhere that he doesn’t sound the same. But yeah. Tevin is for sho in my music catalogue ?? welp.... i missed the bus on that one. ??? New Edition you didn't faint ? That's not true! Tevin sounds just as good if not better. It's just his voice has changed since he has gotten older in his 40's now. Ok. Cool ? that’s good to know ? Okay before i used to pick up scooter...he always wantee to sit in front sometimes justin. I had no idea about justin he was just lil dude to me. Any way scooter always talkes to much on the phone and name dropped. Wasnt a big deal until justjn mania. All of a sudden i got weirded out and kept looking all creapy with my hands on 10 and 2 and said so where am I taking you gentlemen today? Scooter was like Puddin are alright? I straight got scared star struck mode. And these were two people who i picked up in my taxi all the time. I guess the fainting is real with those fans. I wasnt a fan big big anxiety came over me. CB saved the day! He was really star struck ? ??? "Hangin Tough". I member that lil dance that went with the song too ?. I was crazy about Tevin. Is he gay now? I was crazy in love with DeVante Swing!? The only time I ever fainted was when Michael and his brothers were on 20/20. I fainted over Michael on TV LOL! I think I was about 10.
girl.... that why i email every damn thing! bish you may not have 'gotten' it, but it's in your damn inbox! I'm always dining solo at Le Bilboquet restaurant on Saturdays in the Shops of Buckhead in Atlanta. Come see me. ? I tell no lies! I can relate to this little boy. ? STILL love new edition... and when hometown boy Johnny Gill got put on.... it's a wrap!!!!!!!! damn... this is what i suspected, but hoped like hell didn't happen to him.... i swear i hate predators! one that was really slept on that i absolutely LOVE is "Earth Song" ...that's still relevant too. Uh huh. I'm sipping with you. "I can't take these Hills Have Eyes folks no more"
you said, since we calling out folks! LMAO!!!!!!! ??? knew it... I feel ya ? I know h furniture store is a friend of your blog? so i wont post names. Chris Brown is a good guy battling the demons that society put on him. Since he was a teen boy himself he has donated gifts and food to children in impoverished communities so the could have holidays. I pray for this young man to be healed and fulfill his life. Chile those heavy dresses the slayage was real ya hear yaas Gawd talk about Class on stage ... ? i love everything about those guys... how they are still success stories in their own right as grown azz men! This blogger is a true Rose to her fans! ? I'm with you bout them emails. I email everything cause folk tend to get selective amnesia. Nawl now!! Gimme that news slow! Gay as in bussy? Wooooo!!! lawd I gotta do something to make me feel better!!! ? Yes he is! He has the vocals! Lmfao!! He was talking to me I think ? And secret garden too girrrlllll!! Awww! Good job, Chris. That lil boy was so excited! Me either, I just lmao too.? ?? Girl you had me going on YT to watch my favorite MJ video, The Man In the Mirror live from the Bad Tour 1988. That footage gets me everytime. He was truly one of a kind. The effect he had on people will never be duplicated. You could tell people were fainting for MJ regularly because they had the emergency workers trained and ready to go. Pople were dropping like flies and they had a whole system in place to get them lol. Then I ended up busting up laughing thinking about the people on the Beyoncé post the other day saying Beyoncé's half empty stadium was full because they couldn't put seats on the floor. Those people must not have seen an MJ show. People were packed in there like sardines and loving every minute of it. The crew knows how to set up the stage to accomadate the demand. MJ had more people at one of his concerts than whole festivals that have a dozen performers. Michael was a bad mofo in his heyday! There will never be another. It was planned for PR. He’s still a troubled woman beater. Who’s bad?! Rest easy Michael!! He was genuine with his love of people. I still remember where I was and was doing when I heard about his passing. He is truly missed!! hell I'm lit as hell watching this whew yaas Gawd ? Come Back to my World ? and I heard his tickets were cheap too Chile ..... ???? I equally love Can We Talk? I was getting ready to go to work, that night....Had the TV off all day, so I was clueless about his death all day. Turned the TV on and bam.. reportings of his death. 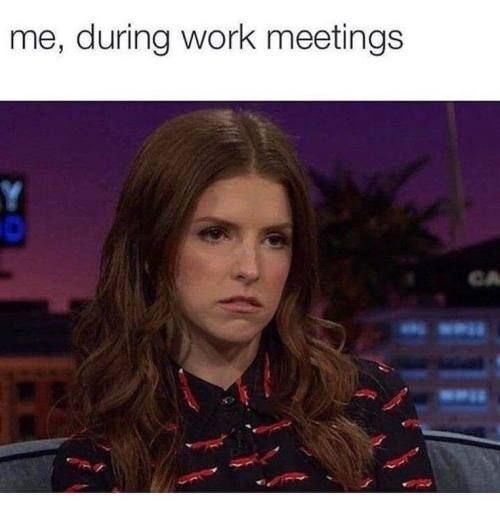 I felt numb called out of work and cried f all night.. I said the same thing. He just happened to have his arm around the boy at the exact moment his body went limp. That's why they call it "fainting larks", because it's usually fake. Here is an example of a fainting lark, aka self-induced fainting. PLS DON'T TRY THIS AT HOME. Huh? Who? Not trying to be funny either. Who are Scooter, Justin, and Pudding???? He has a good spirit. He means well. Sccoter Braun, Justin Bieber's manager. Thanks, Aunty. Good looking out. Pudding chauffeurs Justin Beebs & his mgr in Pudding's uber. Thanks Sandra (I don't know these chirren)??? When my son was 5 all he ever wanted in life was a 4 wheeler. We got him one for Christmas and hid it in the barn.... I wrapped the keys up in a box, in a box, in a box inside a big box. When he opened the last box he said "really mom? What are these keys for?" His daddy said, "go out in the barn and see." When we got out to the barn, he opened the barn door and saw that bad-@ss 4 wheeler staring back at him..... He let out a little 1/2 squeal.... And passed out cold. Funniest thing I ever saw. He has only done that one other time, when he thought he cracked my new smart phone (back when they 1st came out) lol!! I was at my desk bopping & neck cranking' something fierce chile! That lil 90 lb man rocked thee hail outta that entire stadium! That tight azz band backing him!!! The lights!!! Him stomping round that stage, kicking, spinning, moonwalking!!!?????? Whew chile... I prob woulda pass the fugg out too, smh ?...missed the whole show!? He can dance his arse off. I remember a concert they had after the Rihanna incident and they wouldn’t let him perform to pay tribute to MJ. I was like WTF!!!!! I can’t remember who did it but Chris would have killed ??. I was gonna attend his THIS IS IT tour. I remember the announcement. Dayum!!!! As soon as they reported he passed I called my mama. I was pregnant at the Tim’s. She was a die hard MJ fan when I was growing up. She didn’t believe me. I think he was killed at the hospital ?? Nerp! Pure talent, gifted by GOD! Not to be taught or learned - innate talent! We won't see that again... A damn magical unicorn, LMAO!!! I was the same when PAC died. You couldn’t tell me he wasn’t gonna make it. I was 14. Girl I wanted to go to the hospital with the folks praying outside lol. Anyway it’s watching dishes when I heard the news on tv. I couldn’t believe it. I was crying like a baby. The same when Diana died. I was up late that night in my room watching it on tv. I remember the wreckage. Chile all this brings back memories. And screaming. You know they love screaming like crazy. 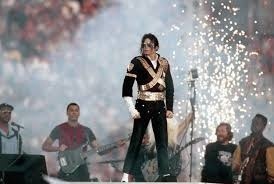 The Super Bowl and what about his Dangerous entrance. Straight FIRE!!! Me too gal me too ?? He is the perfect person to do a tribute ... It's okay Chris does a tribute At his concerts .... He loves MJ ... This is why I love Chris ... They try to shoot that man down but he never gives up... That's da bew... 111 ?? That's why they was lark fainting? This is what it looked like to me. Excitement and fainted. A moment you guys will never forget ? Bwaaaahhh!!! Girl, my face all wrankled up trying to comprehend. LOL. I'm like scooter, puddin....the car..front seat....is this the first chapter of some gay PRON literature???? LOL. Chile I’ll be like hey auntie ??? That s sorta how I first interpreted it (not the pron part, but like it was misplaced). Like I did one time, lol. Was typing up a desk audit And sneak posting on SR... Pasted my audit notes in the SR comment box by mistake and almost hit send (and that was back when you had to email Sandra to delete a comment, smh))??? I watched a nkotb video called one more night, i believe. It was a nice little cut. They have a very loyal fanbase. Oh wow...it was a shock. Didn’t want to believe it either. This is the funniest thing I’ve read in a long time? Singing that garbage in front of them.
? folks make me sick.... CB is did well. . He did a tribute at the BET Awards. He did great. Lord knows I know how that feels. His concert was so GOODDDDD at the Barclays on Monday. H.E.R opened she brought out Ella Mai for Boo'd Upand Daniel Cesar to do Best Part. 6Lack also opened.